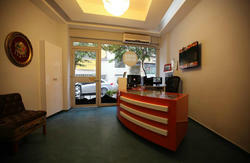 Starlet Hostel is a brand new hostel which is located in the heart of Istanbul. 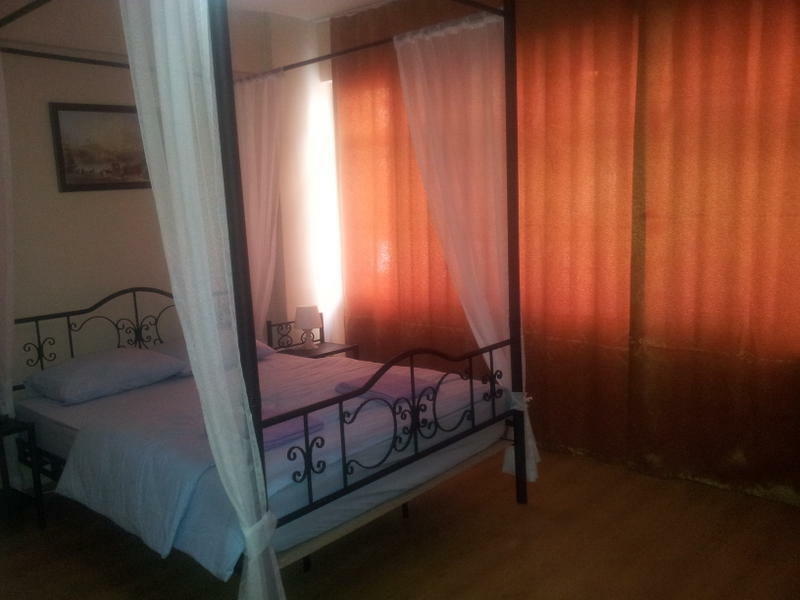 It is central, cheap and comfortable. 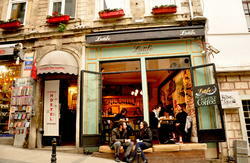 It is only 10 minutes walking distance to the historical site of Sultanahmet Square. Our hostel is new all mattresses and sheets are new and we work hard to keep our service high. 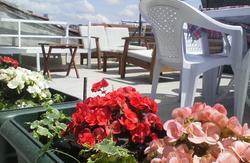 We have a rooftop terrace with a unique view at sea side. On the 82 cm LCD TV you can watch all kinds of international channels also we have a garden for breakfast. Mini fridges in all double rooms. We have private airport transfer services from airport to our hotel with our private and quality vehicles reagardless of the number of persons. For Ataturk Airport, the cost of this service is 30 Euros for up to 4 persons (one way only), if you are more than 4, we have special price for you. You can reserve your transfer easily by our online room reservation. Right at the exit of the airport there is a taxi station. The average taximeter cost is 50 TL. Get on M1 Metro of Aksaray at the airport. Get off Zeytinburnu Station and transfer to Kabatas Tram Line. After leaving the tram on Çemberlitaş Station, you will take the street called “Taşdirek Çeşme Sokak” on the right of the cinema. Then you will walk down all along the street and you will arrive in the main Street called “Piyer Loti Caddesi” on which Santa Sofia hotel located. You will get across the Street and you will see a hair dresser coiffeur shop and you will take the stepped small street on the right of the coiffeur shop. After walking like 1-2 minutes, you will find Ala-Apart House. We are just located next to it. We have private airport transfer services from airport to our hotel with our private and quality vehicles reagardless of the number of persons. For Ataturk Airport the cost of this service is 60 Euros for up to 4 persons (one way only), if you are more than 4, we have special price for you. You can reserve your transfer easily by our online room reservation. Right at the exit of the airport there is a taxi station. The average taximeter cost is 120 TL. At the exit of the airport, you can reach the buses that depart for Taksim regularly for every flight. Get on M1 Metro of Aksaray at Esenler/Bayrampasa Otogar. Get off at Aksaray Station and walk to Yusufpasa Tram Station. Get on Kabatas Tram Line and get off at Cemberlitas Tram Station.